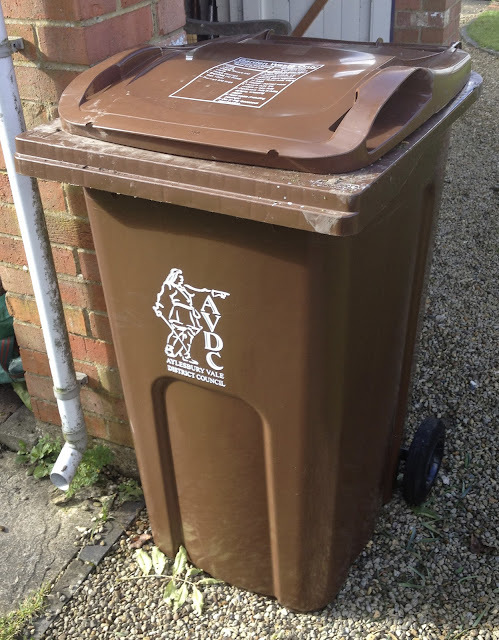 Householders in the Aylesbury Vale District who signed up for the Aylesbury Vale District Council's garden waste collection service were surprised last week to receive a new wheelie bin. 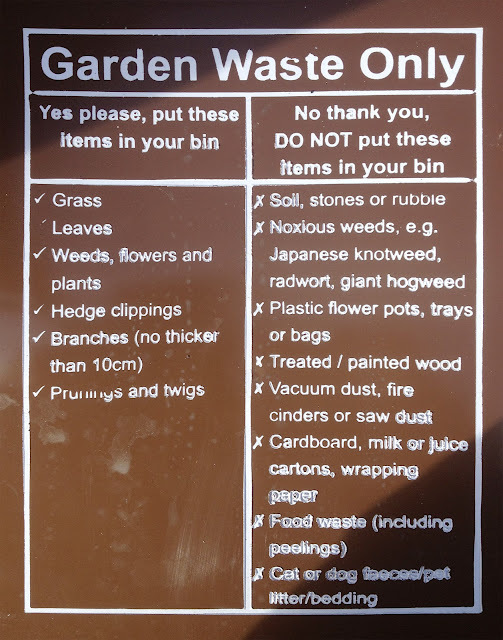 It's brown and it's for collecting garden waste. OK. No surprise there. After all, that's the very least they'd expect for their £36. Anyway, the main surprise for AVDC householders is this uneditable typo. Now I'm no Botanist but, as a boy, I enjoyed collecting caterpillars on many family holidays in Anglesey. And even my 8 year old self knew where to find them. On Ragwort. Yes, because AVDC saw fit to have the rules moulded into the lid. Not printed on, say, an easily-removable, self-adhesive paper. Not even printed on an information sheet. So what does AVDC mean to its householders?